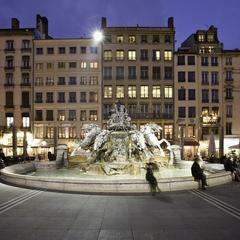 In 2018, the full restoration of the fountain on Place des Terreaux, an iconic part of Lyon’s heritage, was completed. This extraordinary undertaking has given a second life to a masterpiece of lead sculpture created by Frédéric-Auguste Bartholdi, more than 120 years after its inauguration. You can admire this work of art on Place des Terreaux. Didier Repellin, General Inspector of Historical Monuments and Head Architect of Historical Monuments, who oversaw the restoration of the Bartholdi fountain, is fond of recalling that “Rodin brought life to bronze; Bartholdi brought life to lead”. Bartholdi’s decision to use the very rare technique of hammered lead made this a huge challenge for the architects and artisans involved in this major restoration, which has been held up as an example by heritage experts from around the world. 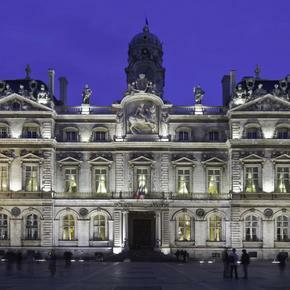 In June 2016, Amphitrite left Place des Terreaux to be taken to the workshops of Fonderie Coubertin in the Paris region. With corrosion, deformations, cracks and damage, the work turned out to be much more complex than initially expected! The artisans of the Compagnons du Devoir worked with the very damaged lead to clean and restore the form and patina of Amphitrite and the various parts of the sculpture that were dismantled (such as the horses, cherubs and decorations on the chariot). It took more than a year to complete the makeover. 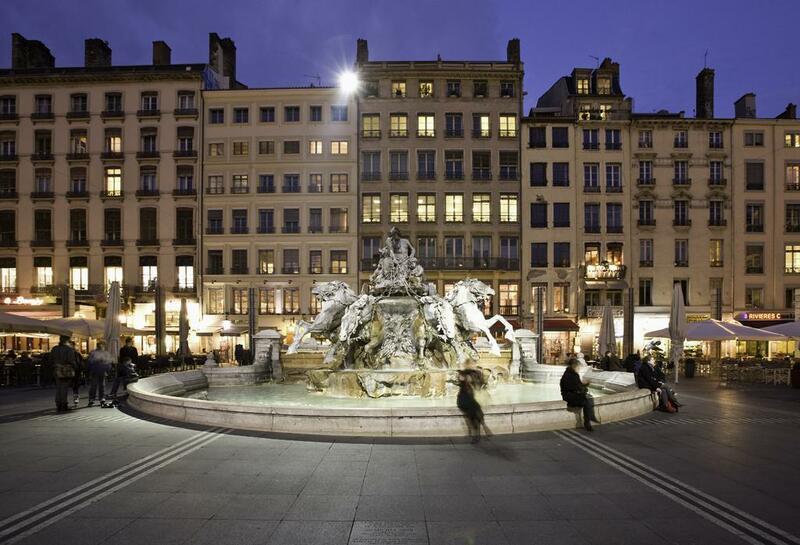 Both dark and luminous, in reference to the original shade of the lead, the statue was returned to Place des Terreaux on the 3rd of October 2017, following the four horses surging from the water. However, the water will not be turned back on until the spring of 2018, on the 22nd of March. The sculpture is not the only part of the fountain to have been restored. The project also included making the fountain water-tight and restoring the stones of the basin as well as the fountain and lighting system. The restoration remained faithful to the plans of the statue’s creator, all while using cutting edge techniques. For example, a misting and fibre optics device was developed to recreate the horses’ “smoking nostrils”. An effect that Bartholdi himself never managed to perfectly achieve! The restoration will give visitors a chance to fully admire the realism and dynamism of this masterful work.